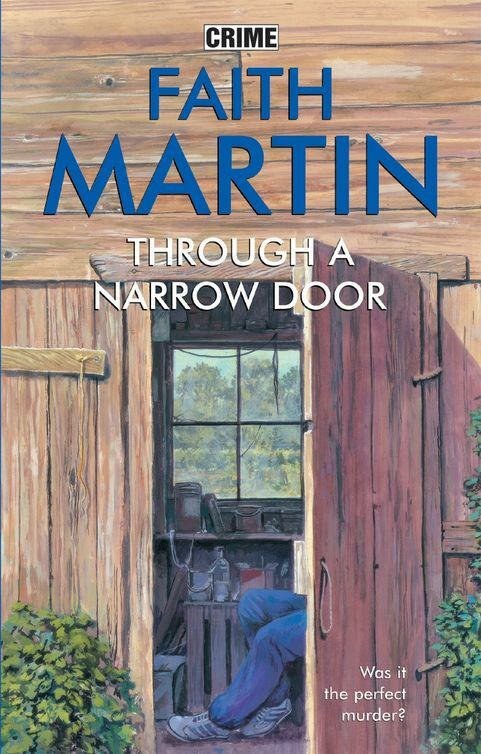 READ Through a Narrow Door FREE online full book. Acting Detective Chief Inspector Hillary Greene leaned forward slightly in her chair, heard the skirt of her best dress uniform creak ominously and hastily sat upright again. The skirt still dug spitefully into her waist, but she managed to smile nevertheless as the assistant chief constable up on the stage spoke her name, and began to clap. All around her, the applause was politely amplified by the guests and she stood up slowly, not sure whether to feel relieved because the pinching of her waist had now come to an end, or feel downright panic-stricken because now the full force of the media was focused upon her. The venue was the Olde Station Hotel, a mere stone’s throw from Oxford’s railway station, and at this particular moment in time, its large dining room was bedecked with white and near-black flowers, some PR assistant’s brilliant idea, no doubt. Certainly Hillary’s uniform (which she’d last worn, what, nearly ten years ago?) was the traditional black and white, and a good percentage of the guests at this medal awards ceremony were similarly dressed, or had adorned black dinner jackets. appearing in Oxford’s papers the next morning would have a pithy comment to go with it. She managed to keep her face straight (and her stomach sucked in) as she approached a smiling ACC, and took his hand. visitors for years to come. She wanted to shout out that this was way over the top for what she’d actually done, but, of course, kept her mouth firmly shut. She smiled and shook the mayor’s hand, accepting his congratulations and wondering if the big shining metal chain around his neck was genuine gold and, if so, which one of her colleagues would be likely to get the shout should it ever get stolen. to get through, which meant, with a bit of luck, she could be back in the office (and out of her bloody uniform) by two. groaned audibly as the reporters thrust out microphones towards her face and Mel, her friend of the last twenty odd years, pinched her arm warningly, and whispered ‘be nice’, before beaming urbanely. ‘Detective Chief Inspector, how does it feel to be a hero? I mean, officially? To receive this medal must be the highlight of your career.’ The reporter wasn’t one she recognized, and she forced a smile on to her face. It felt stiff and unnatural and she only hoped she wasn’t baring her teeth like a terrier about to bite. ‘Well, I don’t know that I’m a hero,’ she said, and meant it. ‘There were other officers present at the same raid. I was the only one unlucky enough to get shot.’ And almost in the bum, too, she might have added, but luckily the bullet had entered just above and to the left, creasing her hip instead. Thus saving her from a lifetime of teasing by workmates and villains alike. ‘But you saved the life of your fellow officer, didn’t you?’ somebody who’d actually read the police press liaison officer’s report suddenly chirped up from the back. There was always one conscientious one, Hillary mused glumly. Mostly though, she could rely on journalists to be interested only in the free booze. ‘Yes, she did,’ she heard Mel say smoothly, with a smile in his voice. ‘And I’m the officer she saved,’ he oiled on, drawing the pack off her as he launched into a sanitized and newspaper-friendly version of the night in question. He hadn’t earned his nickname of Mellow Mallow for nothing. Hillary gave him a grateful smile and slipped away. As she did so, she wondered, with just a hint of justifiable malice, what Mel would say if anyone should ask him why the senior officer that night, Superintendent Jerome Raleigh, wasn’t here today. But with luck, nobody would. Jerome Raleigh had officially resigned and gone to live abroad. Which was as good a story as any, after all. yesterday’s news and smiled with relief. The Great British public might like to acknowledge its heroes in uniform, but scandal still sold more papers – and was far more interesting. shapes that were out of fashion with everyone but the average man. Hillary noticed that her skirt managed to stay up even without the button holding it in place. Oh well. When lunch finally got served, the salad option it would have to be. Pretty damned pathetic really, for the heroine of the hour. She frowned at the medal reflected in the mirror. What the hell was she supposed to do with it exactly? She was plain clothes normally, so she could hardly wear it after she’d changed. Did she frame it? Leave it pinned on to the uniform until the next official occasion when she’d be forced into wearing it again? Or did she put it in her desk drawer and drag it out whenever a subordinate got antsy? One and a half hours later, and with a heartfelt sigh of relief to be getting back to normal, Hillary pulled Puff the Tragic Wagon, her fifteen-year-old Volkswagen, into the car park at Kidlington’s Thames Valley Police Headquarters and spotted an empty space beneath a huge flowering horse chestnut tree. She parked and got out, and stood for a moment or two, peering up at the cones of white and pink flowers above her with her first genuine smile of the day. May had always been her favourite month. Everything was in blossom (including her waistline) and even the scent of hot tarmac and exhaust fumes was overlaid by the scent of spring flowers and lilacs in bloom. hot, and the weathermen were promising a week more of such weather still to come. meetings she now had to attend as well, not to mention the mountains of paperwork that seemed to grow exponentially. She resented having to schmooze with the brass, and keep an overview of all the cases her team were involved in, but never offering any input herself. In fact, she was fast coming to the conclusion that being a chief inspector was a bigger pain in the arse than being shot. With the abrupt and unexpected departure of Superintendent Jerome Raleigh a few months ago, Mel had been bumped upstairs into his slot, and Hillary had jumped at the chance to slide into Mel’s. The only thing was, she was having to reluctantly admit, if only to herself, that the working life of a chief inspector just wasn’t for her. She couldn’t remember the last time she’d interviewed a suspect or a witness. Couldn’t even pinpoint the last time she’d got out of this damned, private office. Considering the fact that she’d been champing at the bit for the last few years to gain a promotion, Hillary was feeling absurdly disappointed. DCIs to inform her that she had forgotten yet another meeting with a Neighbourhood Watch aficionado or some such thing. Instead, the rich baritone of Chief Superintendent Marcus Donleavy came down the wire. permanent. She opened the blinds again and, as she stepped through the door, glanced across the large open space to the far right-hand side, where her old desk stood empty. She could see the blonde head of her sergeant, Janine Tyler, bent over a report on her desk, and DC Tommy Lynch on the phone. Of DS Frank Ross there was, of course, no sign. A circumstance that was guaranteed to make everyone’s day. She was ushered through the small outer room of DCS Donleavy’s office by his smiling PA, and into the boss’s inner sanctum. As she entered, Mel rose from one of the chairs opposite Donleavy’s desk. His smile, she noticed at once, was somewhat strained, and instantly Hillary sensed the tension in the atmosphere. Something was definitely up. divorce.) He was so careful not to meet her eyes, that Hillary felt her stomach clench. Hillary blinked and felt her jaw begin to sag as she suddenly twigged what was going on. Bloody hell, they weren’t going to make her promotion permanent! The cheeky buggers had given it to someone else. Had to be, with a build up like that. She clamped her lips firmly together and for a second felt like spitting tin tacks. Then her own innate sense of fair play reluctantly kicked in, making her want to grin ruefully instead. Well, she didn’t have the problem of turning down a promotion any more, did she? Still, she couldn’t see why she should make it any easier on them by letting them know that she would hardly be crying into her coffee over it. Hillary bit back a smile and looked blandly on at her super.